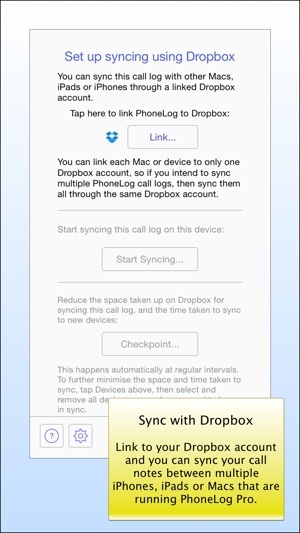 It also syncs between multiple Macs, iPhones and iPads using Dropbox. 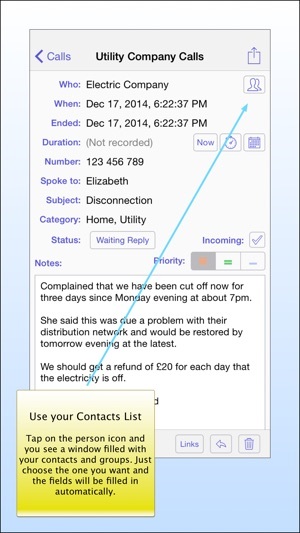 Check out the PhoneLog Pro app for the Mac on the Mac App Store (purchased separately). • Fixed an issue that was making the app non-responsive when choosing to stop syncing with Dropbox. 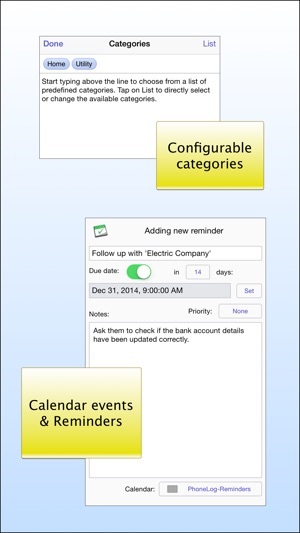 • Show the date and time picker using 24 hour clock or AM/PM where appropriate. 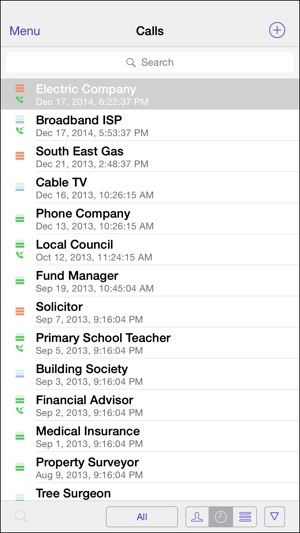 If you enjoy PhoneLog, please let us know by leaving a review. Thanks. 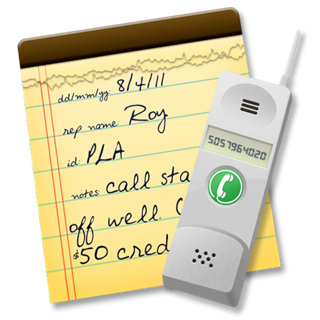 This app can log all your calls, you just make your calls in the app, real simple. So when people complain that it is manual input they must be blind. Also I would like to say is there support is a 10 if I could list a 10. I just had a problem with syncing and they got it fixed. 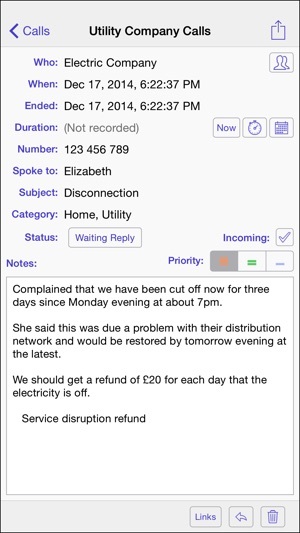 Great App and great support, what else could you ask for! And I hear that the iPhone version will be here real soon Can’t wait! Update now with iPhone support, Great Job!!! 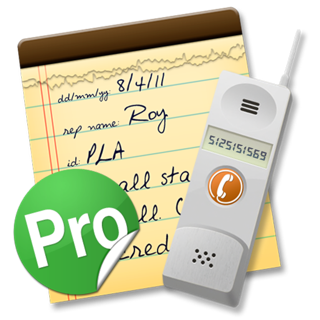 I purchased Phonelog Pro for the Mac quite a while ago, and loved it. I logged thousands of calls that I was able to refer back to for reference. A few months ago I converted from Macs to HP workstations, as I am convinced Apple is not coming out with a viable upgrade to the Mac Pro anytime soon. However, I am still using my iPhone. Needless, to say the App I missed most on the Mac was Phonelog Pro. A short time ago I purchased a iPad Pro. 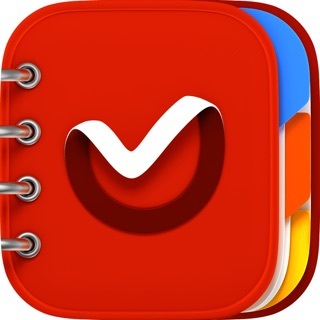 One of the first Apps I purchased from the App Store was "Phonelog Pro for iPhone and iPad". It's terrific and even better than I remember. It is beautifully designed and the only limitations it has are the constraints put on it by Apple. It is very customizable and very intuitive. There is nothing else that compares with it in either the macOS or Windows 10 platform. And support is top rate and a pleasure to work with. I highly recommend it, it is well worth the money.